DP World yesterday announced the acquisition of 100% of the Unifeeder Group for EUR 660 mln from Nordic Capital Fund VIII and certain minority shareholders. 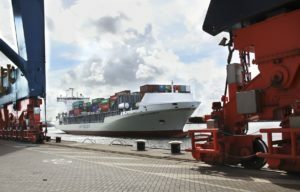 Based in Aarhus (Denmark), Unifeeder is the largest European container feeder operator with an extensive shortsea network connecting approximately 100 ports. The deal is subject to regulatory approvals and expected to close in 4Q 2018. DP World has stated that this acquisition supports their strategy to grow in complementary sectors, particularly it enhances the port operator’s presence in the global supply chain and broadens its product offering to the customers. Unifeeder, founded in 1977, is the asset-light logistics company, with about 400 employees and professional representatives in 25 countries. It operates approximately 60 short-term chartered vessels, carrying around 3.2 mln TEU and performing some 12,000 port calls annually. Unifeeder provides not only maritime feeder transportation from the large European hubs to regional ports but also multimodal door-to-door solutions, combining shipping with road and rail services. The Group reported revenue of EUR 510 mln in 2017 and EBIT margins in line with other asset-light logistics operators. Last Novermber, Nils Smedegaard Andersen, former Group Chief Executive Officer of A.P. Moller – Maersk A/S, joined Unifeeder as new Chairman of the Board of Directors. He is also a professional board member and strategic adviser to Nordic Capital Funds, a private equity investor which in 2013 acquired Unifeeder from Montagu Private Equity. Soon after that, in early January 2018, there appeared reports that Nordic Capital is looking for a new owner for Unifeeder. The deal marks a new phase in the container shipping industry. Whereas examples of shipping lines establishing their own terminal operating companies are widely known (Maersk – APM Terminals, CMA CGM – Terminal Link, MSC – TIL), it is the first time that the global container port operator becomes a shipowner with a significant footprint. According to Alphaliner, Unifeeder is ranked 29th in the list of global container lines.